I am not a huge fan of American television and I make no apology for that. I am a traditional Brit. I like British humour; dark, lavetorial, dry, ironic and sarcastic. I am also quite fussy when choosing a documentary to watch. I have to be in the right mood. With precious little free-time for self-indulgence I am very selective about what I watch, unless it is a programme on pandas – I always have time to watch pandas. Making a Murderer, a new documentary released on Netflix would not usually have ticked the right boxes for me from reading the programme summary but I decided to give it a go. An hour later I was captivated. I could barely wait the required 15 seconds for the next episode to start. With ten compulsive episodes in this series, the sun was rising by the time I got to bed. In 2002, Steven Avery was released from prison after serving 18 years for a crime he did not commit. The law enforcement authorities of Manitowoc County, Wisconsin had apparently been telling untruths. It appears they may have known who committed the heinous crime, a sexual assault on a local woman, but rather than follow those leads they chose to prosecute Avery as they did not like this man or his family. The alibis and timelines proved that Avery was nowhere near the crime scene. However, an unfortunate resemblance to the actual assailant and the bias of the law enforcement authorities saw Avery incarcerated. Eventually, developments in DNA technology and support from his legal counsel saw Avery released. But he was not to live happily ever after. 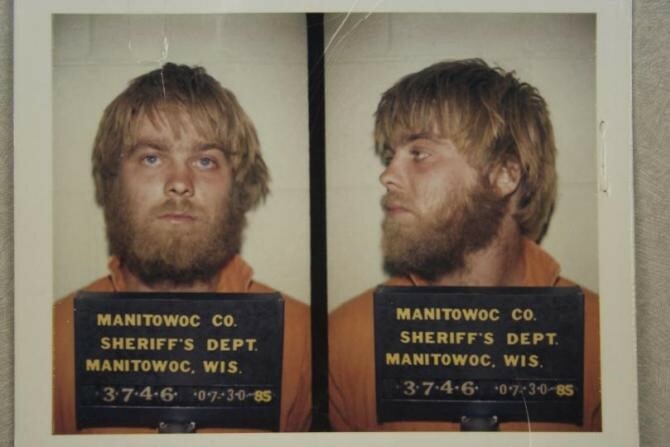 Within two years of his release and while pursuing a case for compensation against Manitowoc County which could have seen Avery awarded $30,000,000, a local woman Teresa Halbach disappeared. The discovery of her vehicle on Avery’s property and a range of incriminating evidence see him accused of murder. Or was this another frame-up by the law enforcers? Filmed over a ten-year period, every episode is packed with twists and turns and ends on a cliff-hanger making it as compelling as a blockbuster thriller. Although, the key characters are not glamorous Hollywood types; they are the simple and real country folk of the Midwest states of the USA. The filming of courtroom scenes and candid interviews with Avery, his family and legal representatives enable this true-life drama to expose weaknesses and possible corruption within the American justice system and the manipulation of vulnerable people, those who the constitution should be protecting.